Stanley Ashmore-Smith died at Sydney on 29 June 1999. Stan Ashmore-Smith was an administrator at the Institute of Technology. He lived at Burwood. 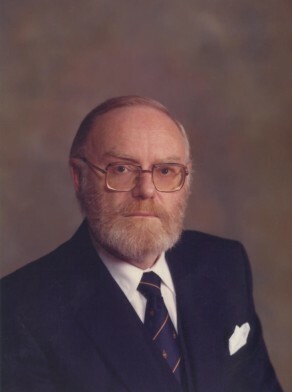 Stanley Ashmore-Smith was Alderman for Fitzroy Ward, 20 September 1980 to 13 April 1984. Ashmore-Smith was re-elected for the term expiring September 1987, but the Council was sacked on 26 March 1987 and replaced by City Commissioners. He was a member and Chairman of the Finance Committee, 1981–82, the Organ and Cultural Affairs Committee, 1981–82, the Properties Committee, 1984–87, the Finance and Industrial Committee, 1984–85, the House Committee, 1984–87 and the Cultural Committee, 1984–87. He was also a member of the Public Works and Properties Committee, 1980–81, the Building and Development Committee, 1982–83, the City Planning Committee, 1982–83, the Works and Housing Committee, 1984–87 and the Budget Management Committee, 1984–85. Ashmore-Smith was Deputy Lord Mayor in 1984. He represented the Council in the Markets Development Committee of the NSW Institute of Technology; the Sydney Symphony Orchestra Advisory Committee; the Keep Australia Beautiful Council (NSW); the City of Sydney Cultural Council; the Sydney Committee, and the Committee to investigate all aspects of Outdoor Eatery Establishments. He was the City’s alternate representative or Deputy member of the Traffic Authority of NSW, 1983–84. He represented the Australian Labor Party.